Netherlands based superyacht builder Oceanco has released information about an upcoming build, the 120m Amara which the builder refers to as a “resort yacht”. According to a press release from Oceanco M/Y Amara was designed in collaboration with Sam Sorgiovanni and aimed to convey a “lifestyle philosophy” of extended stays on-board with large gatherings of family and friends. The interior was designed with a contemporary style creating an inviting and natural environment. Per Oceanco’s press release, interior designed Sam Sorgiovanni said “in designing the exterior lines of Amara, I wanted to portray a very strong and muscular form that was progressive in design but with a timeless appeal.” In addition to creating a timeless appeal, the interior and exterior designs work together to create the relaxing atmospheric feel of a resort that design team was aiming for. Amenities on board Amara fit right in with what you might expect at a five star resort and include a beach club with three different access points to the sea, movie theater with seating for 16 guests, complete “wellness center” and a swimming pool with a waterfall that flows into it from the deck above. Of course there is also a dedicated gym that offers incredible views on the bridge deck. If the weather is nice guests can choose to enjoy a movie in the outdoor cabana style theater instead of the movie theater located inside. Thanks to the successful execution of the collaborative design work and the myriad of features on board Oceanco’s Amara is truly a floating resort that is capable of transporting guests anywhere in complete luxury. 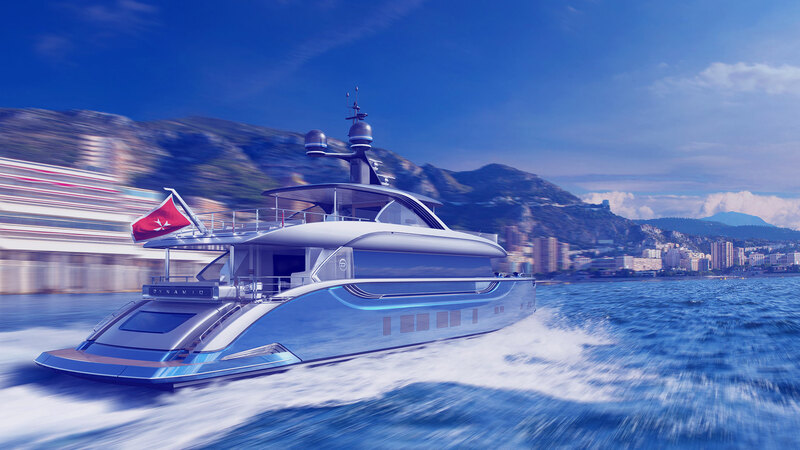 Stay tuned as more news about this exciting yacht is released!